Aspen's Max Marolt works the ball against Trevor Sheldon, of Vail Mountain School, on Saturday morning at the AHS field. The Gore Rangers scored once in the second half for a 2-1 victory. 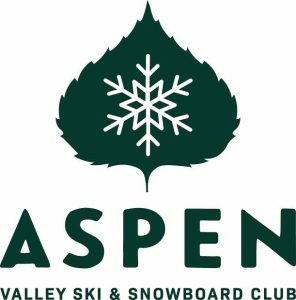 Vail Mountain School brought its up-tempo, quick-pass attacking offense to Aspen on Saturday morning. Generating a barrage of shots from a variety of locations, the Gore Rangers beat the Skiers, 2-1, in a spirited soccer match played in drizzling rain and occasionally heavy showers at the Aspen High School field. Vail Mountain School freshman Peter Ferraro scored the game-winner in the sunny 50th minute after teammate Clayton Kirwood attacked up the right side. He dished to Ferraro, who drilled the back of the net to break what had been a 1-1 tie at halftime. Kirwood had scored the first goal of the match to put Vail Mountain School ahead 1-0 in the fourth minute of play. Late in the first half, Aspen’s Joel Brice scored on a curling direct kick from a tough angle on the left side outside the box. He said their system calls for quick passes and movement off the ball. “We’re trying to get the ball off the feet quickly. 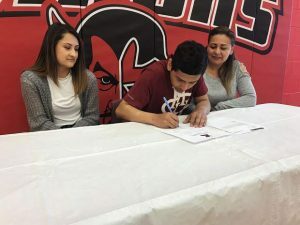 The guys that work the hardest are the guys who don’t have the ball at their feet,” said Petrovski, who watched the Gore Rangers hammer 24 shots against Aspen. They pressed the action to the tune of 10 corners kicks to only one for the Skiers. “When you possess the ball and you move, it’s an attacking game,” Petrovski said after the Gore Rangers improved to 4-1-0. 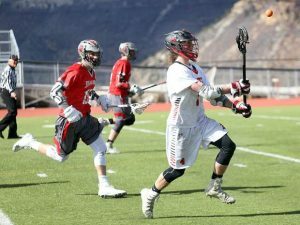 “We’ve got a lot of senior leadership back there,” the Vail Mountain coach said. Offensively, he said the Gore Rangers had attacking opportunities. The Skiers had multiple opportunities to tie the match in the second half, staring with a break by Edwin Soto. His shot hit the left post and bounccd away midway through the second half. With 4 minutes to play in the match, Soto had another left-footed shot on goal from a direct kick (30 yards out). But Vail Mountain keeper Sterret caught the shot for a save. He said the Skiers showed progress against a team that pressed on defense, forcing shorter possessions. He said the Aspen defense that included Nikko Wehse, Conner Peirce, Max Marolt, Jorge Esparza, Griffin Stevens and Harry Kahn had to work hard against the high-speed attacks of the Gore Rangers. 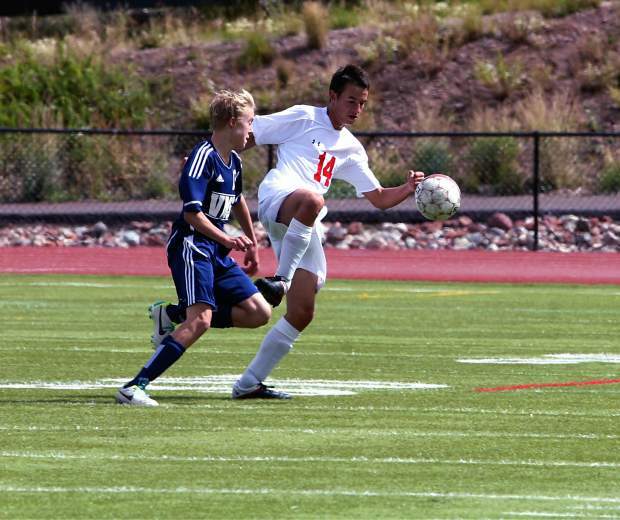 The Skiers (1-3-0) will host rival Basalt on Thursday at the AHS field. 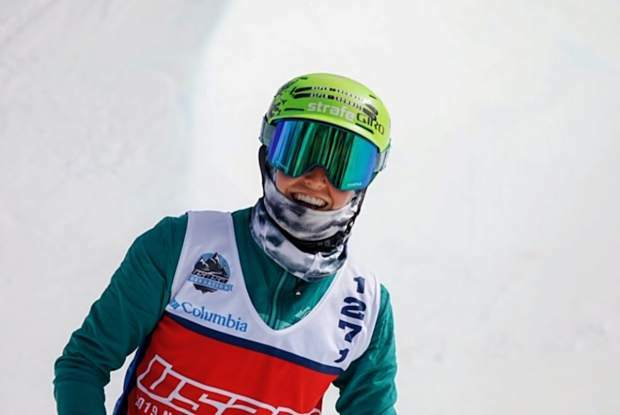 Vail Mountain School will host Roaring Fork on Tuesday. 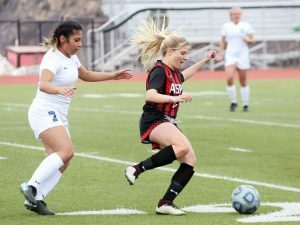 The Basalt Longhorns were scheduled to play Coal Ridge in an early showdown match Saturday in Basalt. However, the match had to be postponed when officials were not available to call the game. That match will be rescheduled.